white oak tavern & inn. 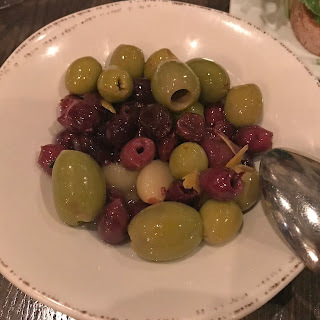 white oak tavern & inn first pinged my radar over a year ago when a fellow chicago vegan e-mailed me to pass it along as a recommendation to check out. (hi, marielle!) it's been on my "to-try list" since then. more than a year. a year. literally. okay, anyway. when it was time for a double date night with some of our favorites (hi, steven & brett!) ... i compiled a list of three spots i wanted to try. the select? you guessed it, white oak tavern & inn. here's another reason why white oak caught my eye : "offering refined rustic cuisine, we are a chef-driven neighborhood tavern that proudly sources from midwest farms & food artisans. from day one, our priority is celebrating & supporting our local businesses & communities." all the thumbs up emojis for this joint! miso-maple glaze, toasted peanuts, nori & sesame. if brussels ain't crispy, get them away from me. these were perfectly crunchy & the miso-maple glaze was bomb. israeli couscous, dried apricot, almond vinaigrette, red chili oil. anyone who knows me knows ... i generally hate cauliflower. this changed my mind. it was amazing. plus, really reminded me why couscous is the food so nice, they named it twice. 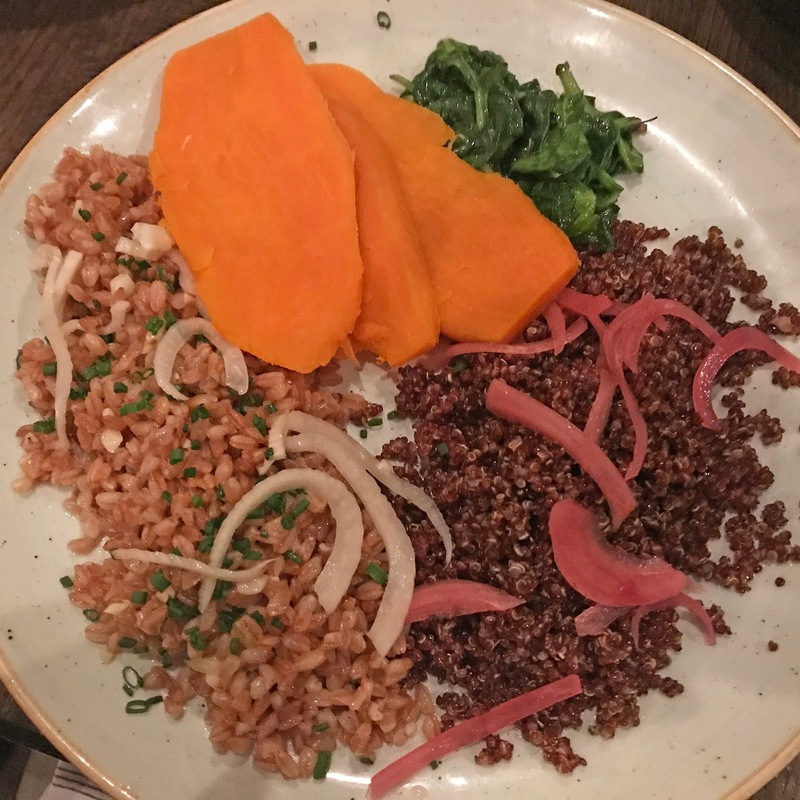 farro salad with fennel, quinoa salad with pickled onions, sautéed spinach & sweet potatoes. love me some farro. could have just eaten an entire bowl of just this. but the variety on the plate was actually perfect. loved all of it. nommed all of it. lifetime membership of the clean plate club still intact. the final segment of the meal was brought to me as a surprise ... i know a lot of restaurants don't let you just bring in your own foods for the hell of it. 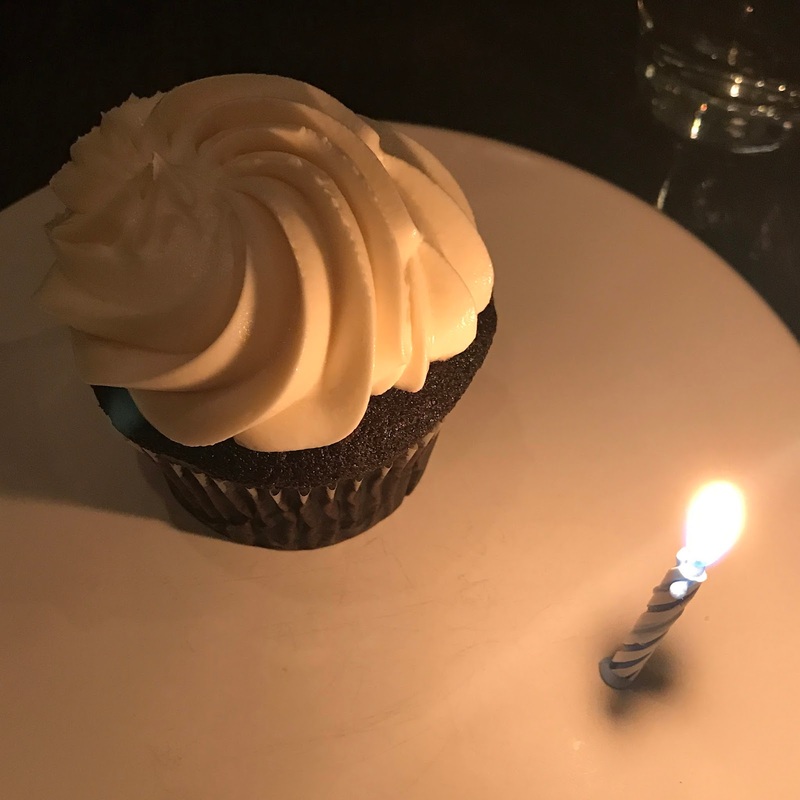 but since i'm vegan, it was my birthday & nobody wants a berry plate for their birthday dessert, they let our friends bring in some cupcakes from sweet mandy b's as a surprise. they even plated them with a candle. chocolate vegan cupcake, what what. mmm. happy birthday to me. thank you, steven & brett! ok, so. to sum up. delicious apps. 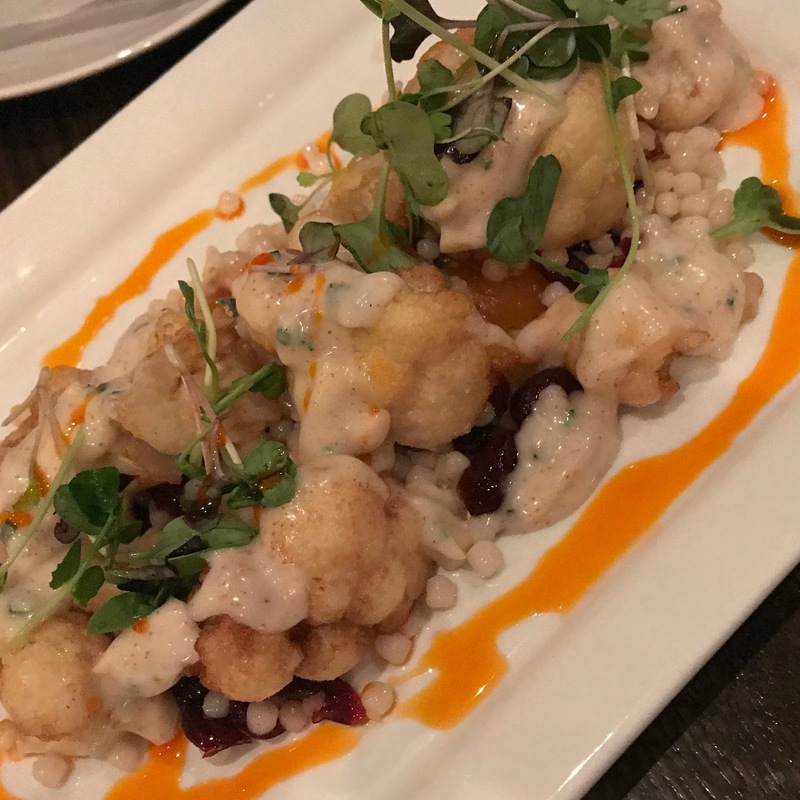 delicious vegan entree available. delicious client service. see above for all. or see for yourself in person. enjoy! I am just wondered that these much recipe are possible for vegans. seattle : molly moon's homemade ice cream.